This capitol city is chockablock with educational opportunities for all ages. With a simplicity of language and images that is sure to delight both young and old, Good Night Washington, D.C. celebrates those things that draw visitors from around the globe: cherry blossoms, the National Zoo, the Museum of Natural History, the Library of Congress, as well as all three branches of government. 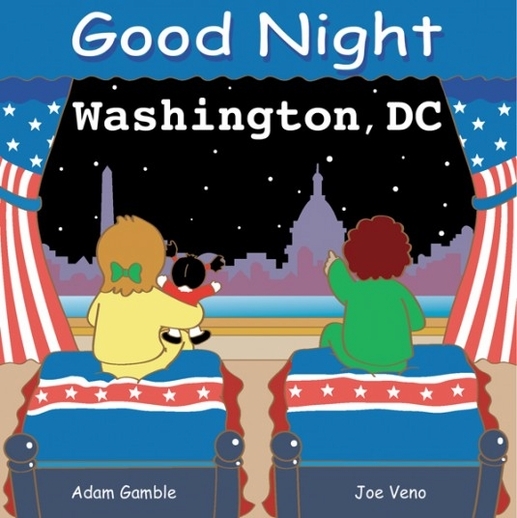 As with other books in the Good Night Our World series, readers are rhythmically guided through both the passage of a day (“good morning,” “good afternoon,” “good evening,” and “good night”) and of the four seasons—all while being encouraged to use positive salutations.